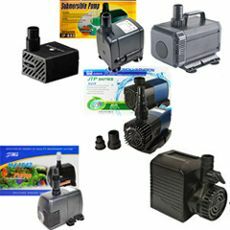 In a market flooded with many water pumps now, it is very difficult to choose which pump is right for you. There are sellers from Amazon, to Home Depot, to eBay, and so on. As well, with one of the leaders in small to medium size water pumps now out of business (Via Aqua), this opens the door to many new entries into the market. Many can be pricey, yet deliver very little for the price. Many sold by Home Depot, Lowes, Amazon have very little professional use and backing behind them, rather these are often sold as pumps that can generate the most benefit at the lowest price. Examples here include the low end, Sunterra, Koolscapes, Becket, among MANY, MANY others. I am certainly not “knocking” the Tetra and Pondmaster, as I have used them both with generally good results; however their “value” is questionable. Then there are the Sunterra & Becket in particular which have had high failure rates and not a pump I would ever suggest to any of my friends or aquarium, pond maintenance customers over the years. Frankly, even the more expensive Laguna has not faired all that well from my extensive use. Even then, from my contacts in the aquarium maintenance business, even brands that make some excellent products in pumps/filters such as SunSun, have an extensive line of similar pumps and filters to appeal to a broad market as varying price points. This can leave many shoppers depending on highly questionable “Amazon Reviews” for similar products that are actually different in important ways such as missing an important pre-filter that the upgraded version has. Amazon in particular is notorious for selling SunSun and other brands lower price point pumps & filters missing key modifications, thus resulting in a vastly inferior pump, filter, or UV sterilizer than if purchased from a knowledgeable seller that is actually in the business and not cutting corners so as to sell at the lowest price point. With Via Aqua exiting the aquarium and water garden scene, this leaves their sister company; Taam/Rio with their line of Rio Plus pumps for light to medium duty water gardens applications and the Rio HF (High Flow) for medium to moderately heavy duty water gardens (& aquarium systems) applications. Besides the Rio/Taam line of water circulation pumps for aquariums, water gardens, desk fountains, there is also the lesser known SunSun brand. SunSun has taken over many of Via Aqua’s excellent designs (which were originally from Atmans), and added more of their own, such as the ultra high efficiency JTP-12000 High Output/Efficiency Pond Pump for heavy duty pond or aquarium system applications where high flow with low energy draw is critical. At only about $11 to $15 depending upon where purchased, this is an excellent pump for desk top fountains where a bit more flow is needed. As well it is excellent for small aquarium, vivarium, or terrarium circulation, but it is NOT meant for pond environment. This is basically the same pump as the Via Aqua 30, with improvements to flow, head pressure, & durability. This is an excellent pump for desk top fountains where a reliable but small flow is needed. As with the JP-033, it is excellent for small aquarium, vivarium, or terrarium circulation, but it is NOT meant for pond environment. This pump replaces the old Via Aqua/Atmans 305, however unlike the two previously mentioned, this pump is totally new with more head pressure and frankly an over all better pump. In fact with the 300 gph water pump range, there is no better for light duty aquarium, fountain, or deck pond use. This pump replaces the old Via Aqua 1300 pump, and unlike the JP-065, this one includes a sponge prefilter and is a bit more versatile for aquarium or light duty deck/patio pond applications. However for fountain applications it is more large and cumbersome (not as compact), so the JP-065 would be your better choice for such applications.